After 4 hours’ flight, I arrived at Tel Aviv International Airport at 15:30 PM. The immigration control was not strict. 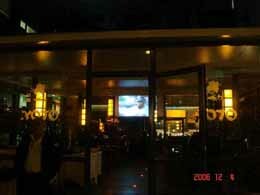 My last visit in Israel was in January 1999 in order to attend the same meeting as this time. 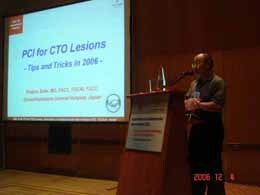 The meeting name was ICI (Innovations in Cardiovascular Interventions), which was held in Tel Aviv on December 3rd to 5th, 2006. 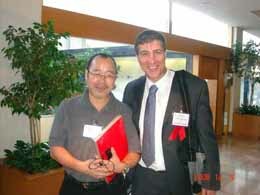 I was directly invited from Professor Chaim Lotan, who was the President of the meeting. 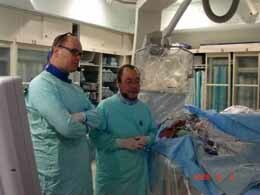 During the last visit, I did not do any cases and did only lectures. 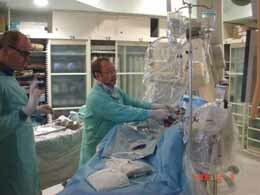 However, I was asked to do 1 CTO case as well as a lecture on CTO PCI this time. Professor Lotan is the Professor of Interventional Cardiology in Hadassah-Hebrew University Hospital in Jerusalem, which is the biggest hospital in Israel. 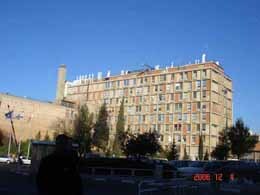 The hospital building is huge. 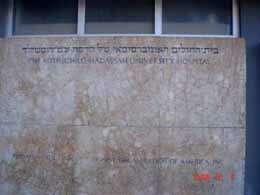 Many Jewish people living and working in US are donating much money to the hospital. It is run by the Rothschild Foundation, The Women’s Zionist Organization of America, inc., Hadassah Medical Organization and Israel Government. 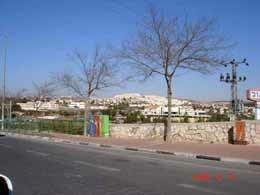 I left the Hilton Tel Aviv Hotel early morning and moved to Jerusalem. 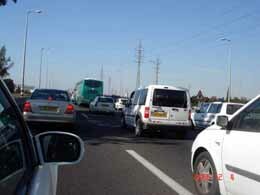 It took more than 1 hour on highway by car from Tel Aviv to Jerusalem. 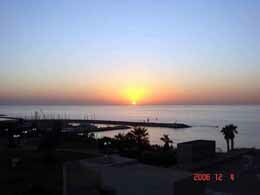 I could not find any scenery which suggested Israel was under war. I was surprised to know that the Hadassah Hospital was so huge. The case arranged to me had a CTO lesion in the middle LAD. Unfortunately, the collateral filling from RCA through the septal branches was poor. I decided to take an antegrade approach. The catheter laboratory was not wide. However, all of the staffs were very kind. Actually, my case was the 1st live case during the meeting. The moderators in the auditorium were supreme. Those world-famous physicians like Patrick Serruys, Martin Leon, William Wijns, Alexander Abizaid and Yaron Almagor were there as well as Professor Lotan. After crossing the subintimal space of the CTO lesion, I could finally re-enter the tip of the guidewire into the distal true lumen. After the predilatation by a 1.5-mm balloon, I confirmed the position of the tip of the guidewire by using an IVUS examination. The guidewire was really in the distal true lumen. Thus, I put 2 stents in the part of the CTO lesion. However, unexpectedly, the flow to the distal true lumen, in which the distal part of my guidewire was, did not recover fully. Anyway, I had nothing to do else. I finished the case. 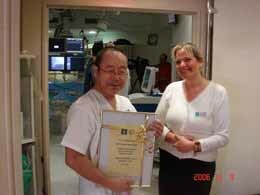 I received an award for the participation from the catheter laboratory staffs. I could not spend time there, since I had to return to the Hilton Hotel, where my lecture presentation was planned from 12:30. The traffic returning to Tel Aviv was so bad. I delivered a talk on PCI for CTO lesions. There was an old friend of mine in the audience. 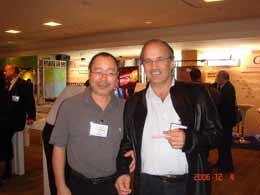 He is an inventor for NIR stent. I talked with him. Meantime, I could see Professor Lotan. The sunset was beautiful. I had to hurry to move to the Tel Aviv Airport to take El Al flight of LY 0081 to Bangkok departing at 22:10. Again, I received careful examination by the Security. I love this beautiful and historical country, Israel. I arrived in Bangkok New Airport at 14:00 on December 5th. However, I had to spend almost 8 hours there to take the returning flight of JL 0718 to Tokyo departing at 22:30 there. I checked in the Transit Hotel in Bangkok Airport. However, I do tell that it is not a good idea to spend time in the Airport, since it is almost impossible to make an effective connection with Internet there. Finally, I returned to Tokyo at 06:15 AM on December 6th Wednesday 2006, and then I went to my hospital to work.